happy new year! it’s our first post in 2014. what a delicious way to welcome the year. happy eating, happy cooking! 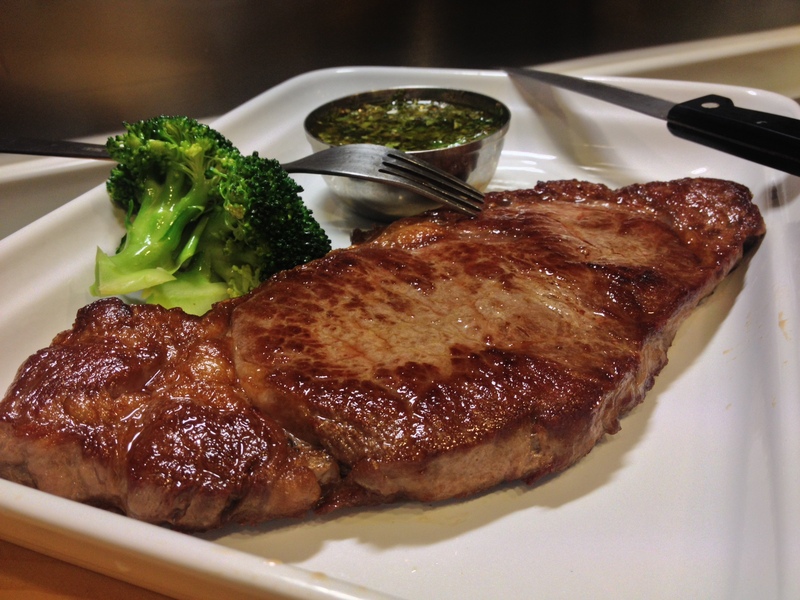 everyone has their own personal proven method when it comes to cooking the perfect steak. sometimes when we try those techniques in our own kitchen, it doesn’t always produce the same result. that’s because there are slight variations that will affect the outcome… things like thickness of the cut, heat source, and type of pan. so what might work for one person in their kitchen might not work in yours. you really have to play around with your cookware and stove to find the timing that creates the right doneness for your steak. for ours, we had a 12 oz half inch thick ribeye, seared on a cast iron or any heavy bottomed pan with plenty of oil for about 4 minutes on high heat. that was enough to get a good sear on the surface and still medium-rare on the inside. and of course, we allowed the steak to rest at least 5 minutes before digging in. 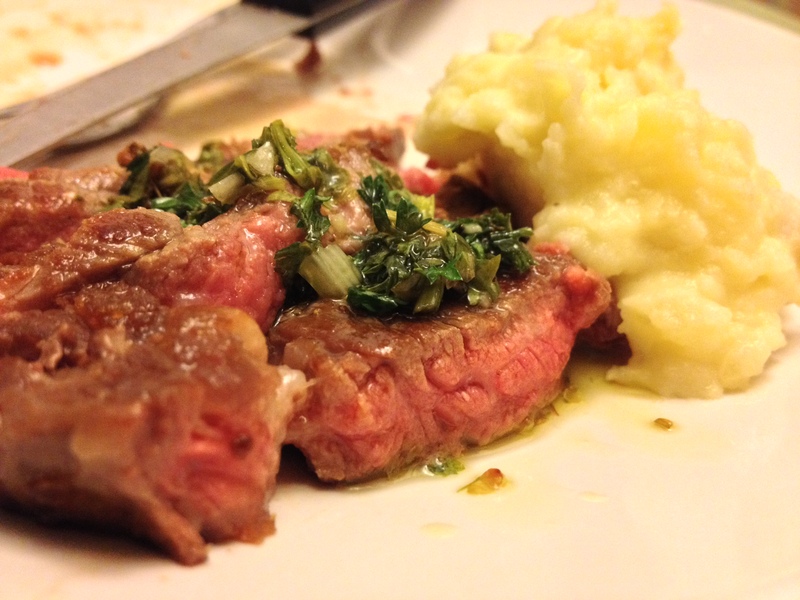 a chimichurri sauce is probably one of the better pairings for beef. it’s tangy and bright, which helps cut the fat and richness. drizzle with chimichurri sauce and dig in! aging the steak allows the flavour to concentrate and the meat to tenderize. many people have the misconception that dry aged beef are only sold at upscale butcher shops. part of it is true, for you need a good quality steak for aging. yet, we learnt from heston blumenthal that we can actually age a steak at home. 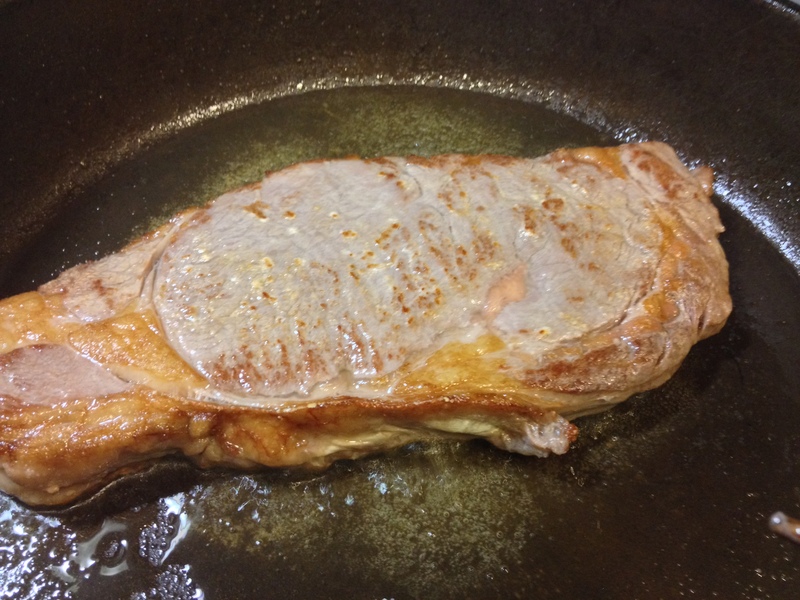 it is easy to overcook the steak with its low moisture content. be careful with the timing. the effort is so worth it. the meat is unbelievably flavourful and tender. Non-stick pan? Ewwww. Get a good heavy cast iron pan, you’ll get much better results (and you won’t need all that oil). yes a thick cast iron is perfect for the job. we’re gonna have to shop around for one. I love chimchurri, great recipe to welcome the year!